And Moses went up from the plains of Moab unto the mountain of Nebo, to the top of Pisgah, that is over against Jericho. And the LORD showed him all the land of Gilead, unto Dan. Dan could not be reached for comment. Whether this is the actual site where this event occurred is up for debate. But a sunset stroll up the hill from the parking lot, to see the small church there and the glorious view across the landscape, was a balm (close to Gilead) for a well-traveled soul, and as fine a place as any to celebrate Easter. 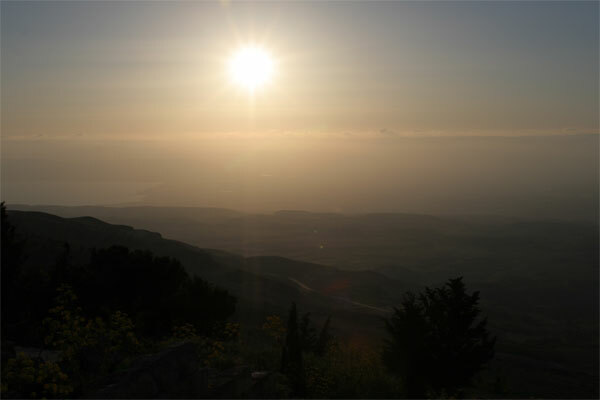 You could see at least as far as the Dead Sea, but the haze kept Jericho hidden from view. 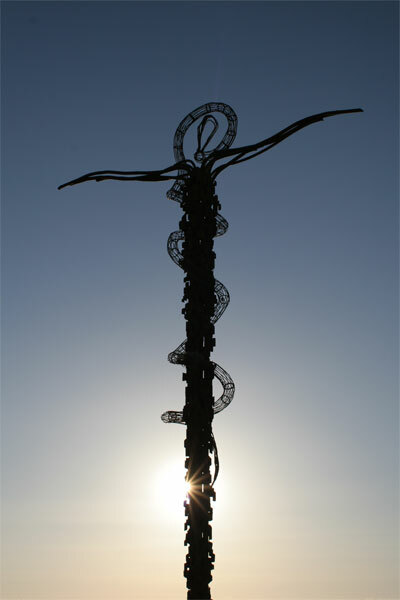 The sun glowed in my favorite light of the day on the Brazen Serpent Sculpture by Italian artist Giovanni Fantoni — designed to symbolize not only a crucifix, but also the bronze serpent Moses created in the wilderness — and through the stained glass windows of the 6th century church on the mountain top. Mt. 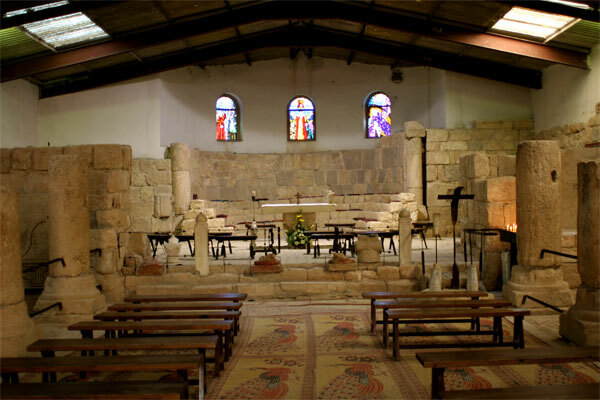 Nebo is in an area where many Jordanian Christians still live, and it’s an area also known for its mosaic work. 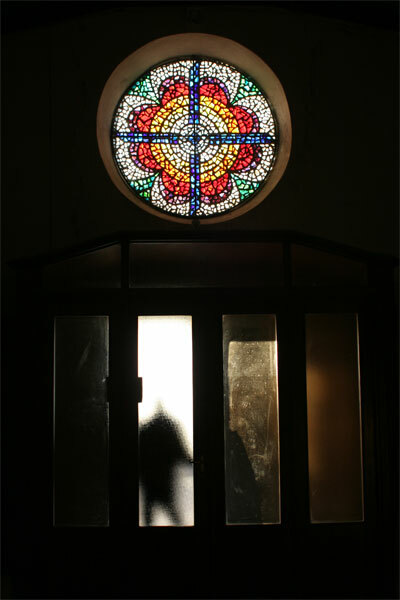 We entered the church just after a mass, apparently for some Italian pilgrims, had finished. 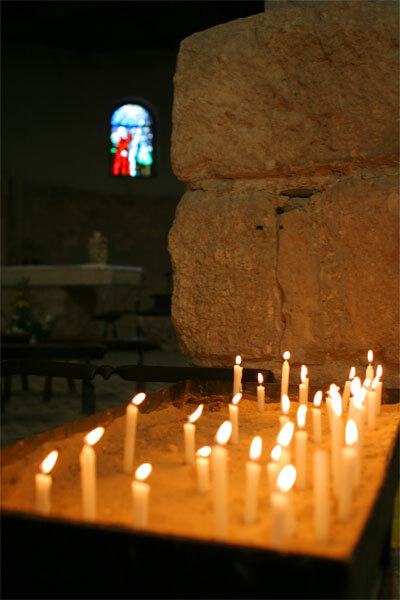 The candles were still burning on the right of the altar as the priest closed up for the day. 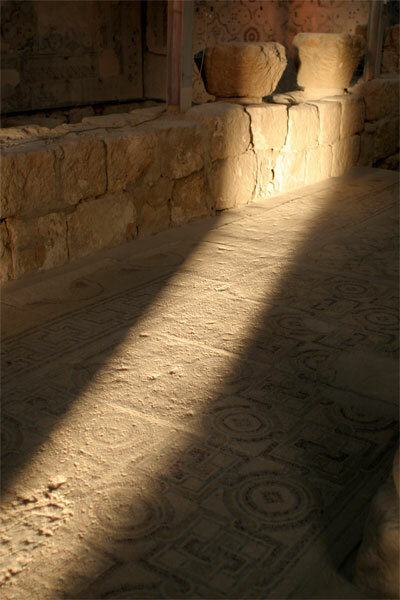 The floors of church there are adorned with finely detailed mosaics excavated from archaeological digs, and the rustic columns stood strong in the shafts of waning sunlight. 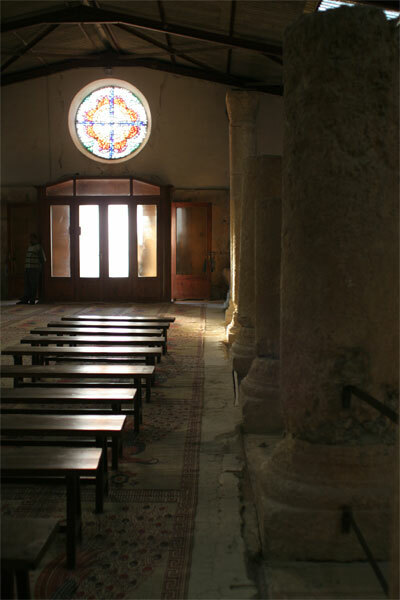 Back at the taxi, we asked Kamal, the very religious Muslim driver, if he knew when Moses (known as Musa in Arabic) lived. He said he wasn’t certain, but he did know that Moses, also an important figure in Islam, was at least ten meters (more than 30 feet) tall and was most likely a black African. As we were pulling out of the parking lot, SUVs with secret service officers arrived in advance of a sunset visit by the American ambassador to Jordan. Looks like we got there (and out) just in time.